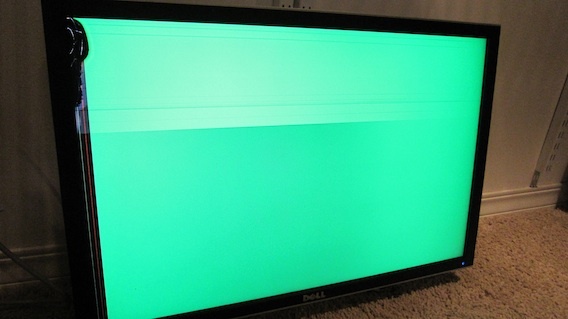 Last night, my 30″ Dell LCD monitor fell off my desk and onto the floor. 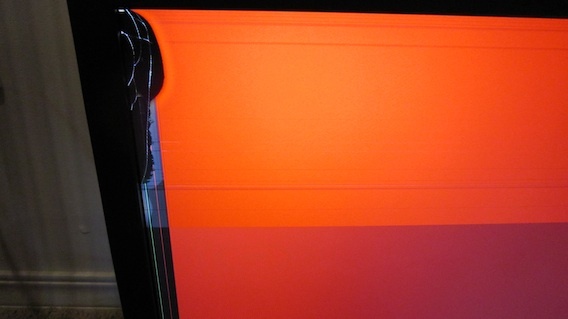 While there didn’t seem to be any physical damage, the impact destroyed the screen and it no longer works properly. The dell monitor has served me well for the past year and I’m sure it would have lasted many more years if it were not for the unfortunate accident. They say every adversity contains the seeds of a greater benefit. However, I’m having a hard time seeing the benefit of breaking a $1,500 monitor. At any rate, I’ll be taking the old Dell to the recycle center, where it will most likely end up serving some family in a third world country. The monitor still displays images but there are lines everywhere and the color is all messed up. I am now on a search for a new big screen. My choices are another Dell 30″ LCD, the new Apple 27″ LED or a 27″ Apple iMac. What would you go for?